I vividly remember on my very first trip to Australia (I lived in New Zealand for 16 years before moving to Sydney for those of you don’t know!) discovering Jelly Belly jellybeans. We were not lucky enough to have them in New Zealand at the time (or if we did they were stocked very sparsely) although from memory we got them a couple of years later. My favourite flavour at the time was buttered popcorn and I also loved the toasted marshmellow, tutti frutti and liquorice flavours. 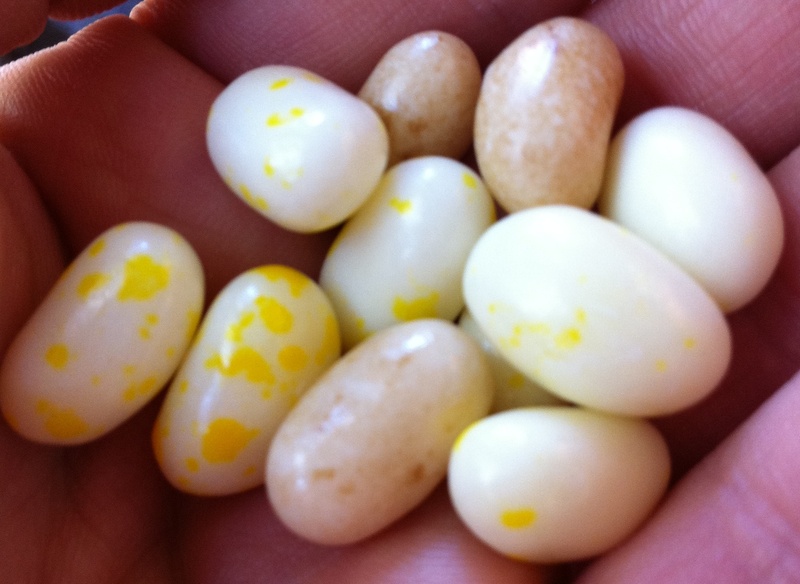 I also loved trying the Jelly Belly Bean recipes. I don’t often buy Jelly Belly jellybeans these days, however the other day I was craving something sweet so visited Darrell Lea. They didn’t have a huge range of flavours (about 10) however they did have buttered popcorn and toasted marshmellow so I decided to get a small handful of these two flavours. To my surprise I think I now actually prefer the toasted marshmellow over the buttered popcorn. I would love to try a number of the other flavours again including the sizzling cinnamon, vanilla, kiwi and watermelon as who knows, I might discover a new favourite! What is your favourite Jelly Belly flavour or recipe? very cherry is my favourite!